Despite some adverse criticism of the process, there appears to be a continuing demand for tanning. Though a market where there is controversy demands caution and careful research, it can also present opportunities for those prepared to set up a responsible business which demonstrably puts the interests of consumers to the fore. In 2014, 4.5% of Canadians aged 12 or older (an estimated 1.35 million people) reported they had used tanning equipment in the previous 12 months. 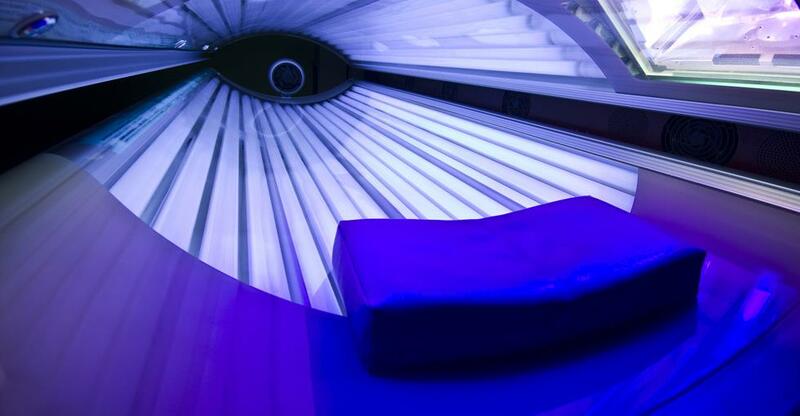 The prevalence of indoor tanning was higher among females than males (6.2% versus 2.7%), with the highest prevalence of all (8.2%) occurring at ages 18 to 34. Reflecting the higher prevalences among women and at younger ages, a substantial majority—70.3%—of all users were female, with more than 50% of those female users below 35 years of age. The primary reason given for indoor tanning was to develop a base tan (62.0%). A much smaller number of users reported aesthetic reasons (21.0%), to relax or feel better (15.8%), to provide a boost to the immune system and/or obtain vitamin D (8.9%), and/or as treatment for a skin condition or some other medical condition (4.3%). A decade previously (in 2006), the NSS (National Sun Survey) collected data to estimate ultraviolet radiation exposure, sun protection, and related knowledge, attitudes and beliefs among Canadians. Computer-supported telephone interviews were conducted with 7,121 people aged 16 or older. The response rate was 63%. According to the NSS, 9% of Canadians had used tanning equipment during the previous 12 months – double the percentage total reported in the latest CCHS survey (4.5%). This tanning salon industry includes businesses which offer indoor tanning services through UV tanning beds and booths, as well as spray-on tanning, airbrush tanning, or body contour tanning services. There is also scope, and additional revenues to be made, in providing additional and/or complementary beauty treatments. Common ancillary options include: waxing and nail treatments, as well as accelerators and a range of aftercare products. International experts suggest that there is an increased demand for hyper-perfect skin. This will create a demand for custom tanning, hydration and colouring. And likewise, more active lifestyles will help to promote the popularity of lots of quick and easy on-the-go products. Rising incomes have the potential to encourage image-conscious consumers to spend more on tanning treatments. However, health concerns are simultaneously driving tighter industry regulations framed to protect the public, and especially adolescent consumers. Therefore salons must show they are operating within the spirit of these laws and actively encouraging their customers to act responsibly. Such efforts would have a particularly positive effect if they could also be supported by word of mouth recommendations, as well as clear evidence that a salon was guided by the latest technical research available. You will need to register your business and also inform the tax authorities that you are trading. And in addition, you will need public liability insurance, and must be aware of employment legislation if you plan to hire staff. Your most important act of compliance will be to satisfy your local authority that you can keep your customers safe. This will include, for instance, keeping detailed records of customer skin types and frequency of treatments, keeping your tanning equipment clean and well-maintained, and following all safety guidelines to the letter. For example, by displaying clear warning signs, providing eye protection, notifying your local public health unit, and educating your clients about the acknowledged risks, and benefits, of indoor tanning treatments. Besides being a good business administrator, in the present climate, your tanning business success will depend on your comprehensive knowledge of the risks and benefits of tanning treatments. An informed, open and responsible approach to matters such as exposure to UV rays will give your customers confidence in your ability to keep them safe. Membership of an industry association will also demonstrate your wish to keep up to date with industry developments, and such organizations can also provide valuable support if you should encounter problems. Remember too that light and the production of Vitamin D can do much to promote well-being, and can help to relieve some of the symptoms of certain skin conditions. Buying an existing salon in a highly visible location close to the population you hope to attract is less risky than starting a business from scratch. However, carefully researching the financial history of any business you are considering purchasing, and evaluating its future potential are an essential part of the process. Note also that buying tanning beds can be expensive, and that you must make sure any potential location also has the space to accommodate your development plans, as well as the electrical capacity to power additional equipment.